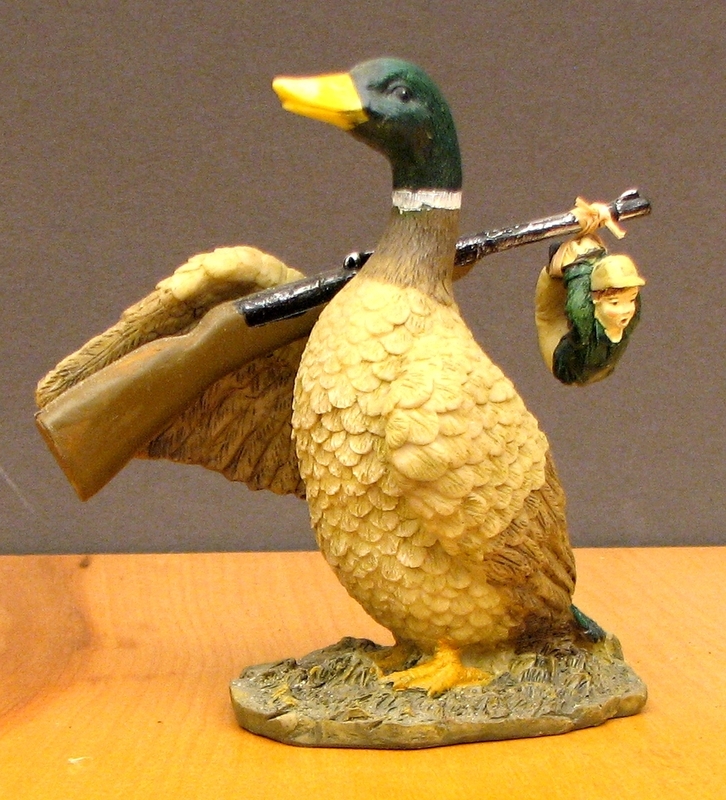 Measures: DUCK Gets the Sportsman. Resin Duck with long rifle and hunter tied on the end. Cute comical gift for the hunter in your life. Measures: 5" T x 3" W x 5" D.